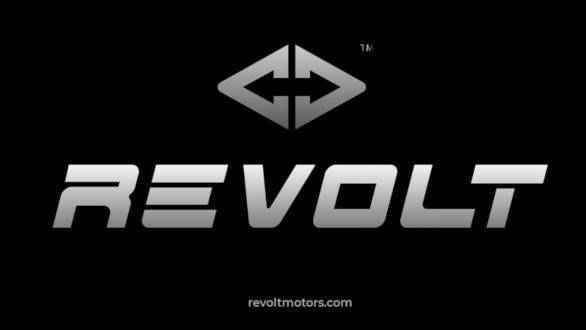 Revolt Intellicorp has revealed the first sketch of their upcoming electric motorcycle. The sketch gives us a glimpse of what to expect from the upcoming motorcycle which will be launched in June this year. Styled at par with other sporty commuters, the motorcycle is said to be in the final stages of production. 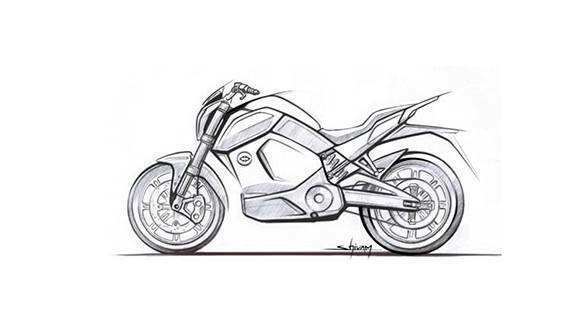 The sketches show that the electric motorcycle can be easily mistaken for a conventional internal combustion engined motorcycle. The image reveals that the bike will be equipped with a USD (upside down) suspension setup with radially mounted disc brakes in the front. With the disc brake setup, a possibility of the bike to be equipped with an ABS (antilock braking system) cannot be denied. The motorcycle gets a handlebar setup which seems to be flat offering a comfortable rider's triangle. The bike gets a tank too, however, that space could be allotted to the electricals and the mechanicals of the motorcycle. At the rear, the bike gets a mono-suspension unit and the bits of the subframe are exposed. The alloy wheels are eight spoke units. The electric motorcycle will have a company claimed range of 150km in a single charge and the top speed will be electronically limited to 85 kmph. The motorcycle will also sport different riding/power modes. The upcoming electric motorcycle is yet to be christened, however, the company said that this will be India's first AI-enabled (artificial intelligence-enabled) motorcycle. Shivam Sharma, chief designer, Revolt Intellicorp Pvt. Ltd. said, "It was an exciting process- designing our first EV and experimenting with entirely different dynamics. Apart from the technological prowess of the product, the stance and riding position make it a perfect everyday commute. It took us six months, three different directions and seven mockups to finally arrive at the design you will see coming alive soon."